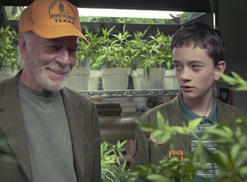 Christopher Plummer plays an aging pot dealer in Shana Freste's "Boundaries," which is being released on June 22. 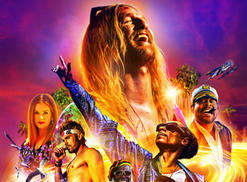 When Plummer is tossed out of his assisted living complex for smoking pot, he turns to his estranged daughter (Vera Farmiga) for help. On Mar. 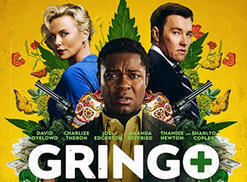 9, Amazon Studios will release "Gringo," a druggy thriller that focuses on a medical "weed pill" called Cannabax and Mexican cartels starring Charlize Theron and David Oyelowo. 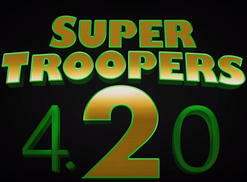 It's only taken 16 years for the sequel to "Super Troopers" to be announced. The Broken Lizard guys will indeed return for another anarchic take on Vermont cops, come 4/20/18, of course. Melissa McCarthy is "The Boss" in Ben Falcone's raunchy comedy, which opens Friday. Just out of jail, Michelle (McCarthy) decides to start a "brownie empire," employing a Girl Scout troop to sell chocolate edibles outside a Chicago medical marijuana dispensary.